I think I started a new tradition this year. 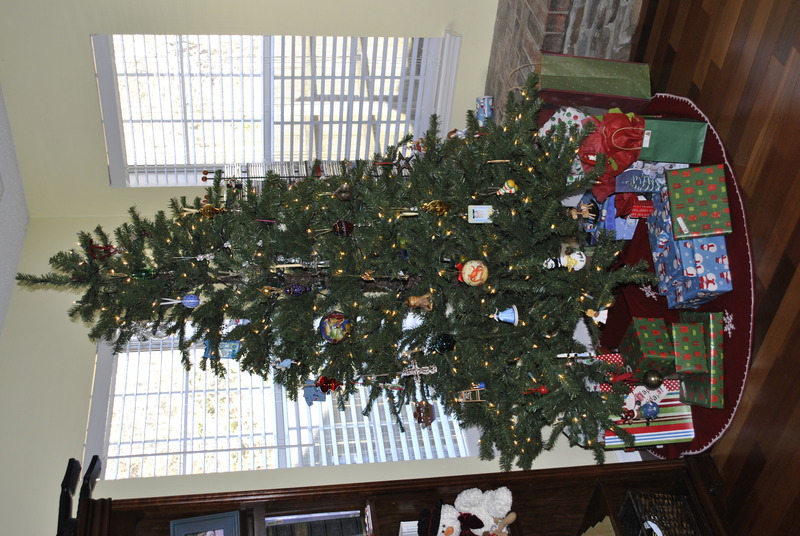 It is December 7, and the Christmas cards went in the mail yesterday; the house is decorated and clean(ish); and we have all but three gifts wrapped and under the tree. Did I mention it is only December 7? It is a pretty incredible feeling to look into the horizon of the second week of Advent and Christmas with a weight lifted. This is all because I took the week of Thanksgiving off. I didn’t go anywhere the first half of the week and didn’t go far the rest of the weekend, so I got a lot of stuff done. And Monday of that week, I got NOTHING done. It was fabulous. I got up and got the kids ready for school*, then after Russ drove off with them, I got back in bed and did not get up again until lunchtime. At lunchtime, I heated up some pizza and got back in bed to eat it. I did not get up again until it was time to pick the kids up at 3:00. I had been fighting a sinus infection and working doubletime the week before (because my boss was on vacation), so this day of nothing was the best. day. The rest of the week was very productive because I was fully (well, almost) refreshed. I got back my go-get-him and my giddy-up. So by the evening of Sunday, the house was really clean and decorated and most of the shopping was done (plus I got to spend some quality time with my mom and Taylor on Girls’ Day). I highly recommend a staycation with no agenda, no plans…the chance to just be and to get as much done as you feel like getting done….and watching as much trashy TV as you want without anyone judging you. It’s a good thing. So I think from now on, I will take this week off and plan to go no where in order to find some order before charging full steam ahead into Advent and Christmas. I really think I will enjoy this year more without the stress of shopping on Christmas Eve. The Advent season is supposed to be about waiting and preparing for Christ’s coming, but with all the hustle and bustle, you lose the chance to wait and prepare – the pace is fast and furious. I’m hoping that this year, I will really be able to celebrate Advent with some patience, some stillness, some silence, and a lot of joy and anticipation…hoping that my four year-old will rub off on me a bit. *1) So, yes, I know that for Caleb especially it is more daycare than school, but I just don’t like the term daycare, and it’s my blog. 2) I used to think that if I wasn’t going into work, I had to keep the kids home (mom guilt). HA! Then I got a bit of sanity and perspective and learned that a little time off with the kids at school allowed me to be more rested and productive so that the time spent with them was that of a much higher quality. So I cut myself a break. Plus they both dig school a lot, so that helps. It’s not just daycare, it’s a child development center and he is learning. Play is his work and the teachers provide environments where he can explore and learn …..and he learns to interact with children his own age:-) Can you tell I used to work in the infant room at the best center ever?